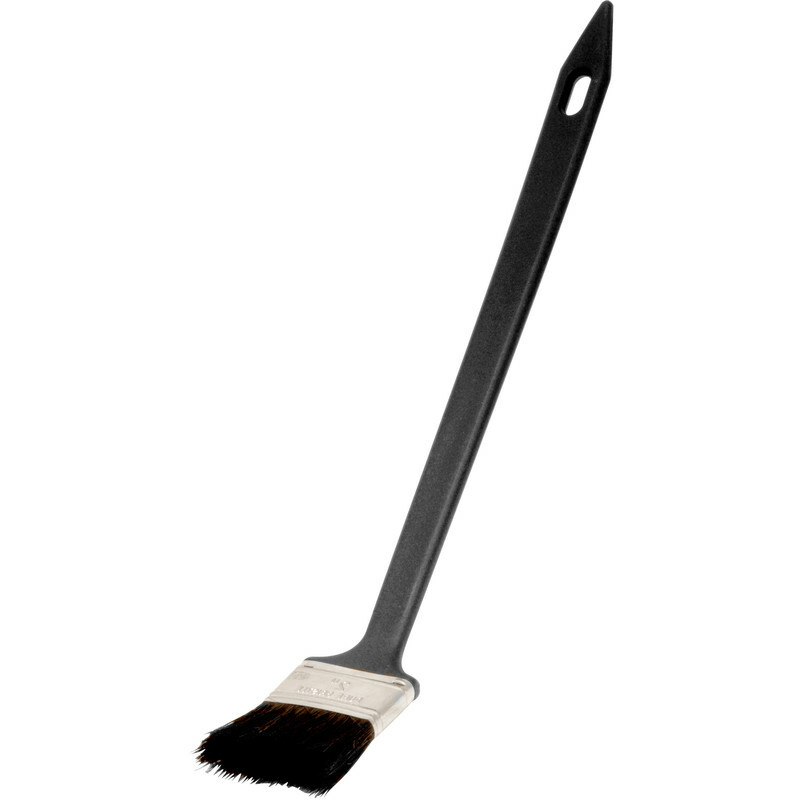 Kana Nook & Cranny Paintbrush 2"
Enables access to difficult areas for painting and cleaning. Angled pure bristle head on a 300mm plastic handle. Handle colour may vary. Kana Nook & Cranny Paintbrush 2" is rated 4.4 out of 5 by 8. Rated 4 out of 5 by Buster666 from Good item When you have the small job and need that special brush to reach it. Rated 5 out of 5 by Jbracks from Best angle brushes to use for plastering. Always buy these brushes... as the title says! Rated 4 out of 5 by Do it myself from Good value I bought two of these brushes because of the angle and long handle of them. I need to paint the roof apex of my house so with the brush strapped to a long pole, this would be ideal. No climbing of a ladder and falling off. I have used them before and although not a perfect way of painting the roof apex, they sure save me a bit of money getting someone to do it for me. Rated 5 out of 5 by Kits from `Used to clean engine cooling vanes Useful shape with long reach. Does what I wanted perfectly well. Rated 5 out of 5 by CJMClassic from Really useful brush Bought several of these. They're useful for behind rads and reaching akward corners. The bristles are quite fine and it's good for cutting in with emulsion or gloss. Rated 4 out of 5 by James 54 from Does what it says. I drilled and bolted this to an old extension pole. It was ideal for painting corners and wall/ceiling edges on a ladder-inaccessible stairwell. Why doesn't a manufacturer provide a solution like this? A similar brush with a screw fixing for a pole would be very useful iin an old property.